January 22, 2009 – Of all the people I was prepared to meet at a cocktail party, Ann E. Dunwoody, the nation’s first female four star general, was not one of them. But the Heroes Red White and Blue Ball was not just any cocktail party—it was an inaugural ball, one of the many that traditionally take place the night before or after the presidential inauguration in Washington, D.C. Wearing my little black dress and Payless heels, I felt as if I were a child spying on a dinner party where I didn’t belong. For the first hour, I couldn’t do much but stare in awe while twisting my VIP badge around on its chain. There were slim ladies in Vera Wang on the arms of some of the nation’s top military generals—and I was there free-loading on wine right along with them. Formal balls have been a fixture of the D.C. social scene on inauguration night since James Madison’s inauguration in 1809. Official inaugural balls, where the nation’s new president makes an appearance, are planned by the Presidential Inaugural Committee and limited to 10. Organizations or corporations plan dozens of other unofficial balls, such as the one I attended. The Heroes party and subsequent tribute concert were held at the Warner Theater, just steps away from Federal Triangle and the National Mall, where 1.5 million people had gathered hours before to watch the inauguration of President Barack Obama. 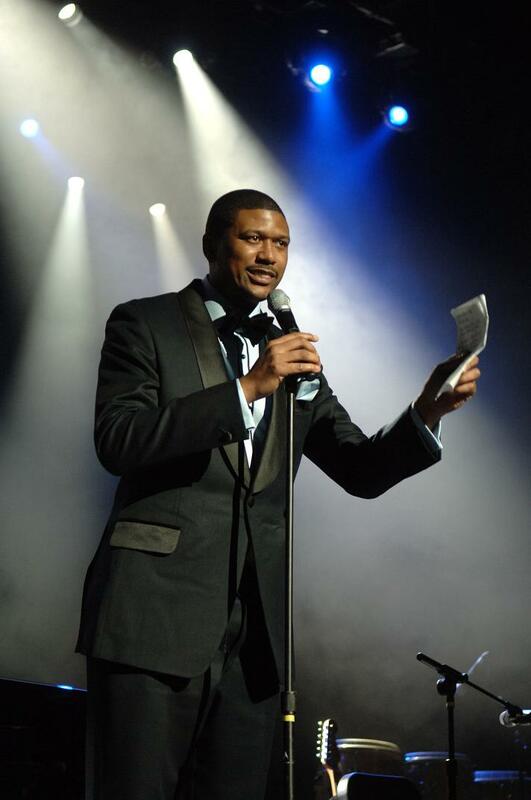 Jalen Rose, former professional basketball player, hosted the event, and performers included Carlos Peña, the winner of Latin American Idol, Peter and Paul of the band Peter, Paul and Mary, and George Clinton, the P-Funk legend. But to me, more interesting than the concert performers was the amount of military brass that packed the room. My date, who is in the Army Honor Guard stationed at Arlington Cemetery, spent most of the night explaining to me the intricacies of the uniforms decorating the officers in the room and who was who in the crowd. I couldn’t believe that the day before, as I prepared to cover the inauguration from D.C. for this newspaper, I had had a stint as a street vendor peddling earrings out of a cardboard box. But Tuesday evening, I was cocktailing with the chairman of the Joint Chiefs of Staff—the highest ranking officer in the U.S. military.